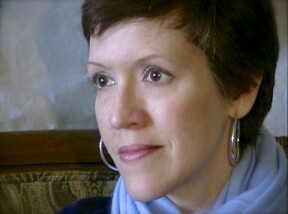 MARYANN MANELSKI is a producer, director and writer. She is a graduate of the Tisch School of the Arts at New York University where she earned a BFA in Film and Television. She began her career in the Story Department at the William Morris Agency (now William Morris Endeavor) before moving into production. For fifteen years, she served tenures producing for various video divisions at Atlantic Records, Time Warner and BMG Entertainment. In the last decade, Maryann became known for political works including her feature documentary, Running in High Heels, which followed the implosion of a political aspirant akin to Sarah Palin. The film premiered in 2006 and quickly was adopted into the curricula at hundreds of colleges and universities across the United States. Her companion book, American Catfight: Political Wisdom for Women & Other Thoughts Towards Feminine Statecraft for the 21st Century was published in 2010. The long illnesses of both her father and sister changed the trajectory of Maryann’s projects. After years of caregiving which eventually ended in their deaths, she explored the offerings of bereavement groups and become determined to use her skills to support and promote their continuing work. The Secret Maps is the result. Maryann is also a long-standing member of New York Women in Film and Television which is the fiscal sponsor of this project.